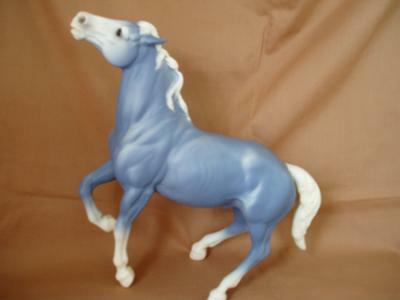 This WEDGEWOOD semi-rearing mustang was a real find! Production from 1963-1965, pristine condition! Thanks again for sharing another BEAUTIFUL example of the great oldies! Thank you again Deb! This guy is stunning! Join in and write your own page! It's easy to do. How? Simply click here to return to vintage invitation.